The Tupolev Tu-154 is a twin-engined medium-range jet airliner capable of carrying 210 passengers, designed by Tupolev and produced by Aviastar SP and Kazan Aircraft Production Association. First introduced in 1989, it is considered to be broadly equivalent to the Boeing 757 and has competitive performance and fuel efficiency in its class. It was developed for Aeroflot as a replacement for the medium-range Tupolev Tu-154 trijet. 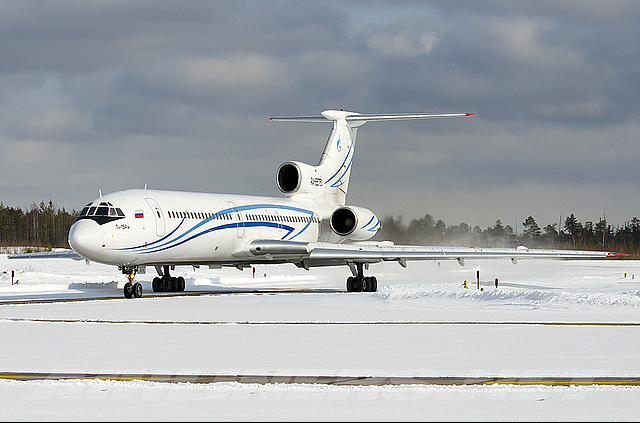 The latest version, with significant upgrades and improvements, is the Tu-204SM, which performed its first flight on 29 December 2010.